The year that is now drawing to a close was full of surprises for ordinary Iranians, and for the regime that rules over them. It began with unprecedented national protests that swept the country from late December 2017 and continued into mid-January 2018. Most shocking, perhaps, were the slogans demanding regime change. For the first time since the revolution in 1979, the name of the ousted Pahlavi dynasty was chanted loudly by Iranians asking for the late monarch’s son, Reza Pahlavi, to return and replace the mullahs. US President Donald Trump kept his promise to withdraw from the Iranian nuclear deal negotiated by his predecessor Barack Obama and President Hassan Rouhani’s team in 2015. In May 2018, after twice extending his deadline, Trump finally walked away from the deal. The market reaction to Trump’s decision, and the return of sanctions related to Iran’s nuclear program, caused a fall in the value of the Iranian currency against the US dollar. Panicked Iranians formed long lines in front of the currency exchange offices to convert their rials into dollars. This extreme public reaction was an expression of a loss of trust in state institutions, and uncertainty about the future. Today the regime in Tehran is confronted with serious challenges. It will not halt the spread of corruption, or refund public wealth spent on exporting the regime’s ideology in foreign military adventures. 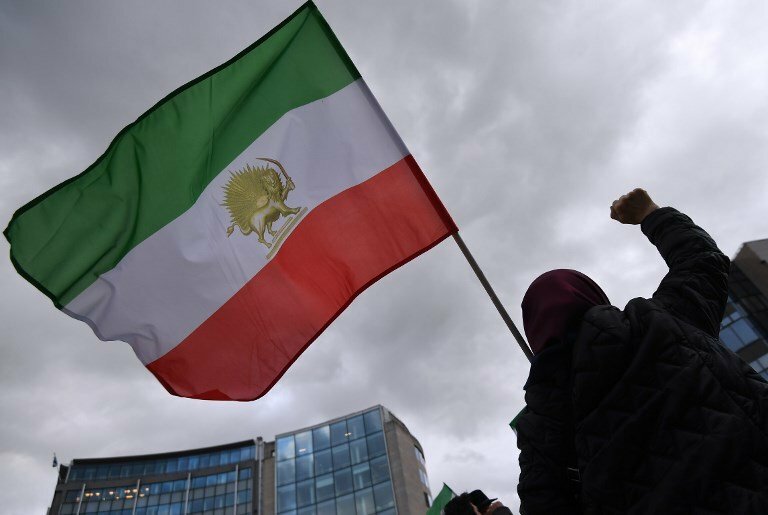 Politicians in Tehran face a crisis of legitimacy. Regardless of what the regime may claim, poverty, unemployment and the living condition of millions of Iranians are a real issue. Scattered protests form spontaneously around the country every day — sometimes teachers, sometimes laborers, sometimes people who have lost their savings in a bankrupt business. Iran is a difficult nation to manage for rulers faced by such deep public anger against them and their supporters. At the same time, most Iranians do not know what the alternative would be if the regime changed. The current circumstances will continue in 2019, as Iranians are squeezed financially and the sanctions implemented by President Trump have a greater impact on people’s lives, with no indications of a change in behavior by the regime. I believe the real danger confronting the regime is neither the political challenges nor the legitimacy crisis, but their age. The foundation stones of the revolution and guardians of the establishment are senior clerics who are passing away one by one. They don’t even retire, since conservative replacements are hard to find. The most recent to depart was Ayatollah Mahmoud Hashemi Shahroudi, chairman of the Expediency Discernment Council. It was rumored that Hassan Rouhani was interested in that job when it became vacant in 2017, but Shahroudi was appointed instead. So even Rouhani, with his revolutionary credentials, was not considered sufficiently conservative for such a role. And let us not forget that the supreme leader himself, Ayatollah Ali Khamenei, is 79 years old. His succession will be one of the biggest challenges facing the regime in 2019. Camelia Entekhabifard is an Iranian-American journalist, political commentator and author of Camelia: Save Yourself By Telling the Truth (Seven Stories Press, 2008).